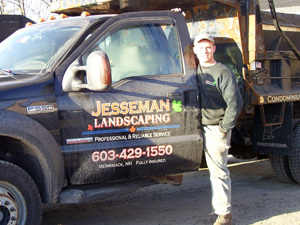 Jesseman Landscaping was established by Dan Jesseman who began by push mowing neighborhood lawns at the age of ten. After many years of hard work (and a dedicated mother to drive him around) he registered his trade name in March of 2004 at the age of sixteen. From that time, Jesseman Landscaping thrived on hard work and word-of-mouth from satisfied customers.